My preferred attack right now is "Mitch" - one camp of level 12 Night Witches with 3 camps of level 12 Beta Minions. The Night Witches start off away from the base, sending some bats at the are where I'll drop the Beta Minions, in hunt of any obvious traps. Then I cover one side or point of the base with Beta Minions. As they tear through the base, the Night Witches catch up and the Battle Machine goes down to run interference for the Night Witches. This usually nets at least a low two-star result, often better. 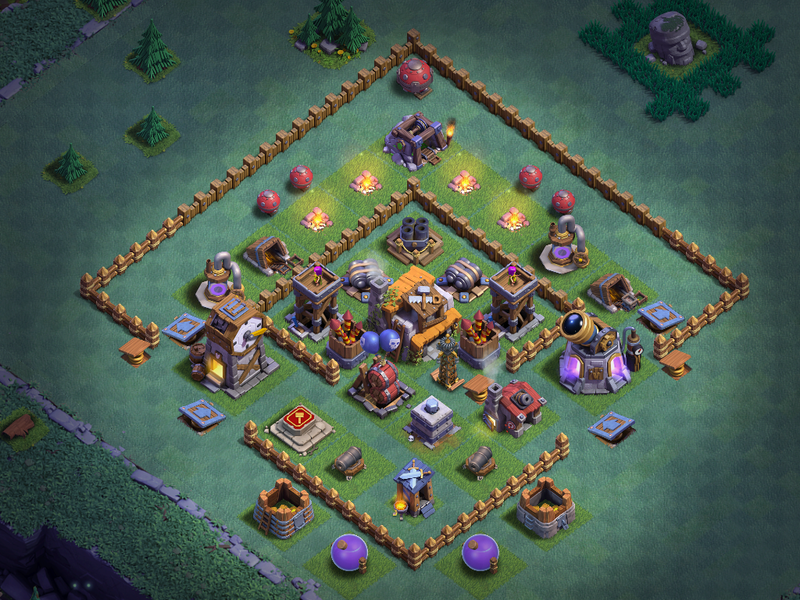 The BH5 games are all on their way to maxing defenses and troops. NachtHerr is furthest along, followed closely by KussVonNacht, then Psyberon. I've struggled with the rush vs max debate on these games; the reality is that all three could go to BH6 any time now, especially NachtHerr and KussVonNacht which are both further along than my main game was when I boosted it to BH6. The meta is good right now, though, so I just don't feel the pressure to take them up a level. 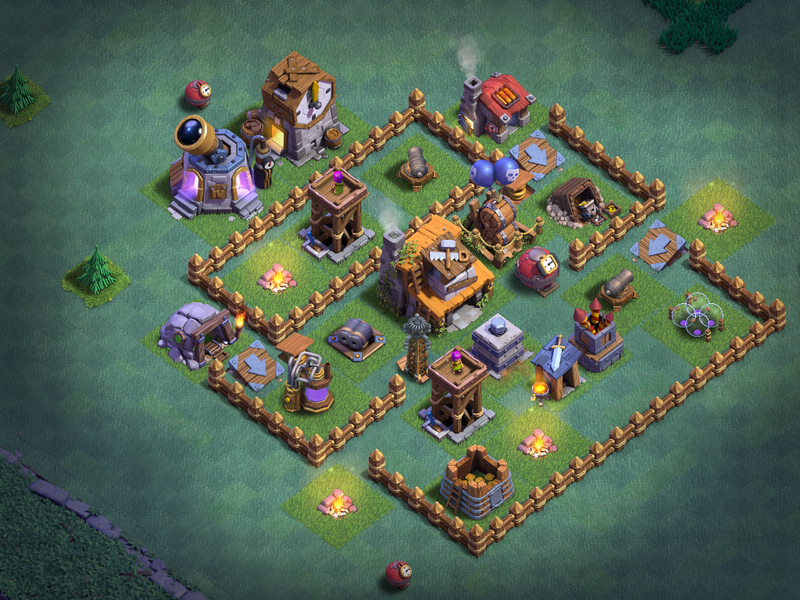 Instead, I'm taking the time to max defenses and troops before working on my Battle Machine and walls. This is worth emphasizing because it's a very different message from my others related to the main game. 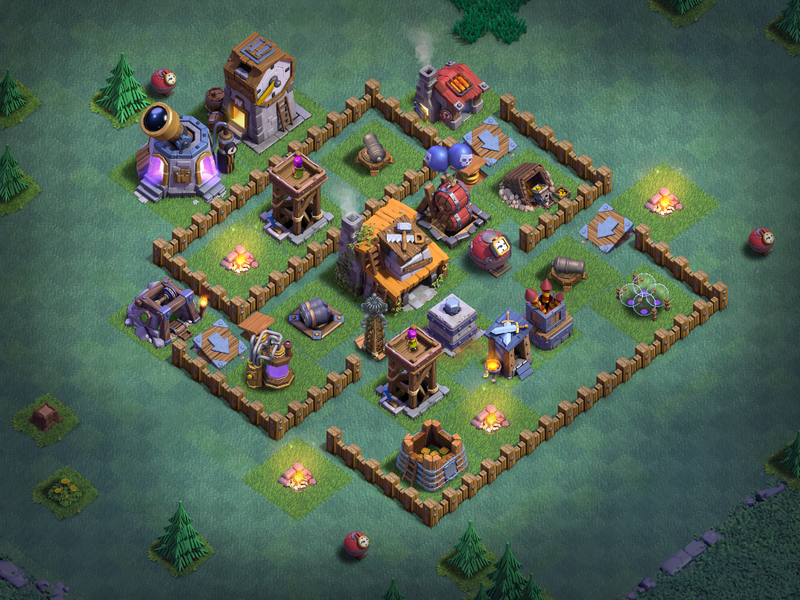 There's no penalty for rushing the Builder's Base (short of hyper-rush with all level 1/2 defenses and troops), but there's also no imperative to do so. Maxing walls is largely a silly proposition - SuperCell lost their minds with the cost of the walls and having such a low daily loot cap. Maxing everything else though...that's very doable at the moment. As soon as BH7 is released, though, that window will close for a while again so now is a great time to get things further along. Admittedly, I am feeling a bit uncreative running this same base on three different games, but you just can't argue with what works. 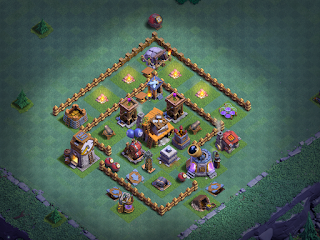 I've tried a bunch of other base designs - some my own and some from Internet sources - and I keep coming back to this same one. It's not hard to beat if you know how; BomBArch from the top does well and even level 10, Mass Beta Minions can take it down. Thing is...it just gives players absolute fits. I'm not quite sure why diamond bases perform so well, but they certainly do. Like I said - since max loot is at 3000 cups and just 400K in resources, I'm not feeling particularly motivated to either upgrade to BH6 or trophy push these games. The current trophy levels on all three are absolutely organic; no trophy pushing at all. They pull in 330K in loot each day, so just 70K each day less than max loot. Now, if there were 500K a bit further up the ranks, I'd probably push them up. But for 70K...? Not worth the time and effort. NachtHerr (2560 trophies) is the flagship of these three, started on 5/22 and upgrading to BH5 on 6/8. The only things not level 5 are the AirBombs, MultiMortar (going to level 4 now), Crusher, one Gold Storage, Guard Post, and the Gem Mine. Everything else has been maxed. KussVonNacht (2530 trophies) is just the MultiMortar and ClockTower behind, with Psyberon only being a week or two into BH5 now. KussVonNacht was started on May 22nd and upgraded to BH5 on 6/25. I have the mines set to air on this game (ground on the other two BH5 games). No big difference to my win:loss ratio. Pysberon (2579 trophies) was launched on 5/23 and upgraded to BH5 on 7/7. For some reason, this game is much further behind its BH5 counterparts. 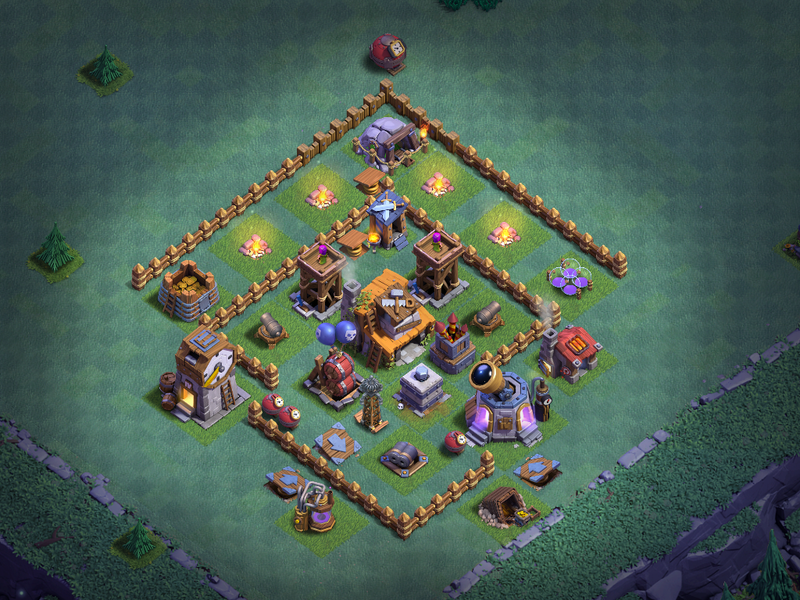 Of course, it also has all level 3 walls and one piece of level 4 wall that I hit instead of a level 2 wall (late night). This is probably why. More experimenting with BH5 upgrade order. The BH4 games are, similarly, moving along at a solid pace. They're in the 1600-1800 trophy range which is right where they should be right now. NaidCosanta (1774 trophies) is the youngest of the three games and has most structures maxed; all that remains are the Clock Tower, Guard Post, and Gem Mine. The troops are the hold back on this game - Barbarians are at level 6, Bombers at level 2, and Baby Dragons are currently going to level 3. I decided to focus my attention on the Giants and Beta Minions for this game. It's worked out well but seems like this combination may actually have slowed the progression down a little bit for some reason. Walls are all still level 2, so between that and the Clock Tower/Guard Post, I still have plenty of places for gold while I finish off the troops. The base for this game hasn't really changed and I'm running 3:1 for my win loss ratio. Trophy progression has been organic; no pushing at all. 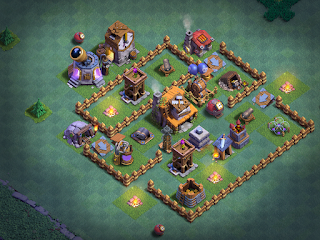 ZedVerteidigung (1764 trophies) has all structures maxed except the final level of the Gem Mine. This is another one where I went a different route with the upgrade order of the troops, first upgrading the Boxer Giants, then the Beta Minions, then the Baby Dragons. Right now, it's working on Sneaky Archers, then Raged Barbarians, and finally the Bomber. Most of the walls still need to go to level 3 as well. The base for this game has been steady as well. This is the BH4 diamond base I put together a while back. It's been tweaked to keep up with the meta, but I'm still getting 60%-75% wins out of it. The last run was 3/1/1. Last, but not least, is the Clash Maniac game, cruising by at 1802 trophies. The only thing left to upgrade on this game is the Gem Mine to level 4 and 2 more levels of the Bomber. The walls are all sitting at level 3 even. I'm running the same base on this game as on NaidCosanta and seeing largely the same 3:1 win:loss ratio. I'm debating when I want to pull the trigger on upgrading these 3 games. They're all very close and it would be nice to have them all go to BH5 together. There's nothing left to do with gold on ClashManiac, and only some walls left to do on ZedVerteidigung. I might just break my own rule with these two and dump daily loot into the walls. My attack strategy for the three BH4 games is much the same as what I use on the BH5 games - I load up Beta Minions, drop 'em on the side opposite the AirBombs, and let the game AI take over. Every so often, I'll come across a base that is better served being attacked by Baby Dragons but, usually, Beta Minions do the trick. 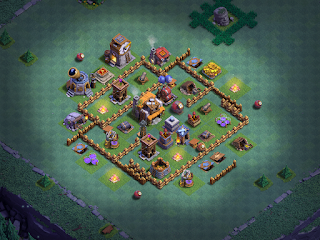 ClashManiac was started on 6/20, ZedVerteidigung on 6/22, and NaidCosanta on 6/29. All three have been F2P; I may have gemmed a timer or two along the way, but we're talking very little if any real money invested at all. In just a little over a month's time, they're all approaching max BH4. The play strategy has been simple - get in, run the three lootable attacks, start upgrades, get out. All could easily be BH6 by now if I were rushing more aggressively, and they're already suitable to upgrade to BH5 (the opponents they take on each day). They sit comfortably in the 1600-1800 trophy range, grabbing down 250K-270K in loot bonuses each day.